Pre-owned Cars For Sale Oakville – Budds’ BMW Oakville. Are you looking into purchasing pre-owned cars for sale Oakville but don’t exactly know if that is the best option for you? 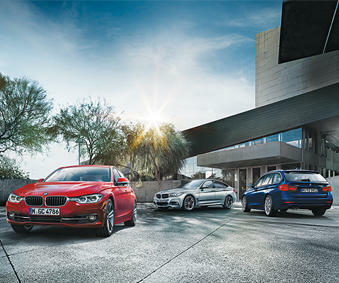 Budds’ BMW Oakville has provided you with some beneficial information that you can use to make a decision. If you are tired of your car always breaking down or being in a mechanic shop more than you can drive it, it may be time to consider a new vehicle. However, not everyone can afford a new vehicle right away when their current vehicle finally give out on them. This is why looking for pre-owned cars for sale Oakville is a good option for people. It is a cost effective method of getting a better more reliable car and you need not compromise on the quality. Purchasing certified pre-owned cars for sale Oakville is a little bit more expensive than a non certified used vehicle, but they are in better condition and have better maintenance services that come with them. Not every car can be considered a certified pre-owned vehicle. There is a testing process that can determine what cars can become certified, but it usually consists of the vehicle having low-mileage, recent year, and must have a clean history. If the vehicle has any body damage or the vehicle has extensive repair history, the vehicle can not be considered certified. Certified vehicles will go through a multi-point inspection to determine if they are road ready for the customer. A certified pre-owned vehicle will go through a detailed search of it’s components and parts to see if they meet the manufacturer standards. A really good benefit of purchasing pre-owned cars for sale is the roadside assistance that you will get. Our roadside assistance program is 24/7 and it is free. It will usually last for the duration of your warranty, and it will give you assistance in emergency situations, if you run out of gas, if you have locked yourself out of the vehicle, or if you need a jump start. Many of our certified pre-owned cars for sale Oakville include a maintenance package for a certain duration of mileage. During that time, you can bring your car in for oil changes, tire rotations, and any repairs it may need. If you are looking at pre-owned cars for sale Oakville, we recommend that you come into Budds’ BMW oakville and look at our extensive inventory of exceptional driving machines. Please feel free to contact us via phone or email, or you can come into our dealership today!